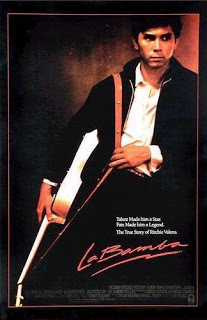 La Bamba | WHAT A FEELING! This entry was posted on Monday, March 25th, 2013 at 3:00 am and is filed under 1987, Actually Good 80s Movies, Music Movies. You can follow any responses to this entry through the RSS 2.0 feed. You can leave a response, or trackback from your own site. Zoot Suit was interestingly disastrous? Wow! How about spellbinding? Mind blowing? Original? A disaster? I’m thinkin…nope.